Eeeeep!! I’m am excited and nervous to share with you a project I have been working on for close to a year: my new pattern series. I’d like to introduce you to Learn As You Sew Patterns! I’ve been designing sewing patterns for close to ten years. I started out making them for myself when I couldn’t find what I wanted in the pattern catalogs. Then, I made them to manufacture for my children’s clothing boutique company. It wasn’t until I started teaching sewing that I began to think about what sewing patterns looked like to new sewers, folks who had never used them previously. And it changed the way I looked at the patterns on the market. The last five years has seen a HUGE explosion in PDF patterns. I released my very first PDF pattern, The Overmost, in 2009 and the difference between what a sewing pattern on the indie market could look like then and what they look like now is astronomical. I began to think about re-designing the Overmost–not the garment, but the actual PDF. What would it look like? What features would I want to include? What would benefit a new or beginning sewer the MOST in a pattern that they download and sew from the internet? One of the biggest things I find that has benefitted my students is the use of video. I love, love, love to make video for sewing, and over and over hear back from students online that it is such a great, adaptable, versatile means of learning nearly anything–and that used well, it can make the difference between someone loving sewing and someone walking away from their machine once and for all. Not everyone has a local shop where they can learn in person, and for some of us, even if we do have a local shop our schedules don’t line up with the class schedule–we’d be much more likely to take a class at our convenience, when the kids are in bed. That was the major motivation for launching my e-courses in 2010, and building a new e-course site last year. I love teaching e-courses and have met some truly amazing people through them! But not everyone will take an e-course–some are concerned that they won’t complete the content, others are concerned that they won’t like the format, and some just don’t really “get” the idea of an online class. I wanted to develop a format that would reach THOSE people, the ones who didn’t feel comfortable taking an online class, but who still want to learn to love to sew. Along the way, those two goals converged. I have a feeling it was while I was driving along the interstate, since I seem to do even more brain-leaping there that I do in the shower. What if….what if there was a PATTERN that included VIDEO? Not an online class, really, but a pattern that allowed you to move BACK AND FORTH between the instructions and videos to guide you? That’s how the Learn As You Sew Pattern Series was born. 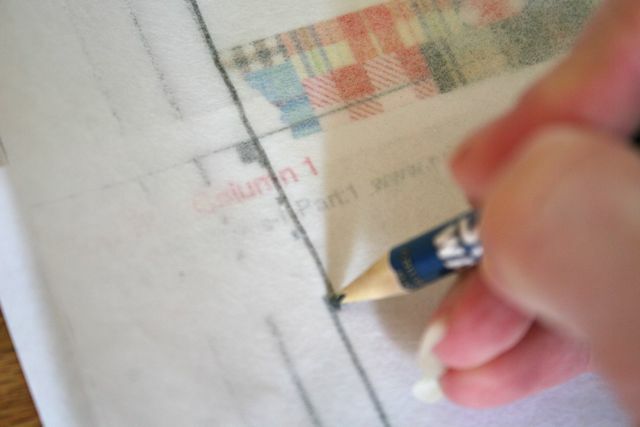 These patterns are TABLET-FRIENDLY, which means they’re meant to be a true digital pattern. Rather than printing the entire file and following along the written instructions, you’re invited to print just the pattern pieces and then view the pattern instructions on your tablet (or computer). There are embedded videos throughout the PDF that guide you through every step of the construction process. Just click on any step where you need some extra help, and you’ll be whisked away to video of that specific step, where you can see up close and at the machine exactly what happens next. I think it’s an amazing way to sew through a pattern, one that gives you a familiar interface with friendly video, and makes every pattern feel like personalized instruction. 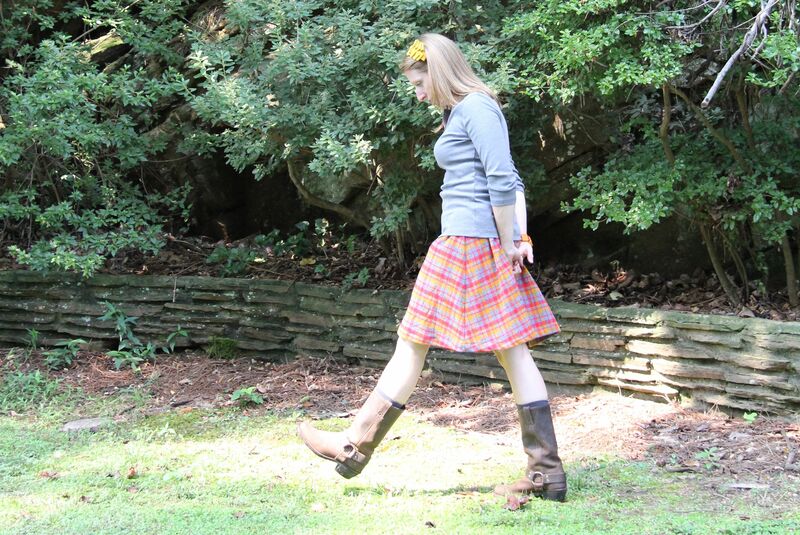 The first pattern, the Get Up and Go Skirt, is part of Series One: Foundational Skills. 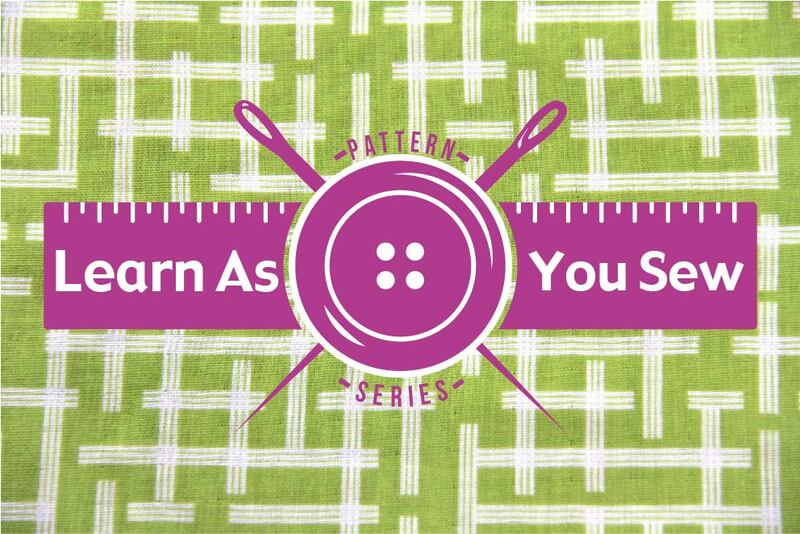 Each grouping of Learn As You Sew Patterns is a Series, and each Series includes three patterns that build on one another to drill down on a specific set of concepts. The patterns in each series can be used alone, if you really only love the one design, but work best when all sewn in order, so that you’ll firm up your technique and try new sewing tricks you’ve never tried before! These first three patterns walk sewers through basic sewing skills, allowing you to really drill down and cement those techniques before moving on to more challenging garments. We’re sewing straight lines and working with elastic and making casings and finish off seams and sewing clean hemlines. Other patterns in this series of three focus on French seams, bust and waist darts, making drawstrings, making and applying bias tape, and so much more. 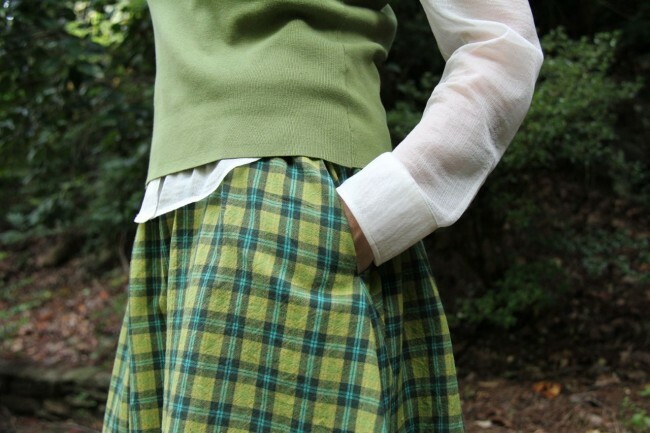 I wanted to build a catalog of wearable, classic shapes that really TEACH as you sew them. These patterns aren’t just for new sewers, though! They’re intended for ANYONE who wants to make a great, chic garment that they’ll really wear, again and again. Because how much fun is it to sew and then hang it in the closet? No fun at all. So these patterns also include a Quick Start guide that allows more experienced sewers print a list of instructions to check off and get going. The video below walks you through more of the features of these patterns. 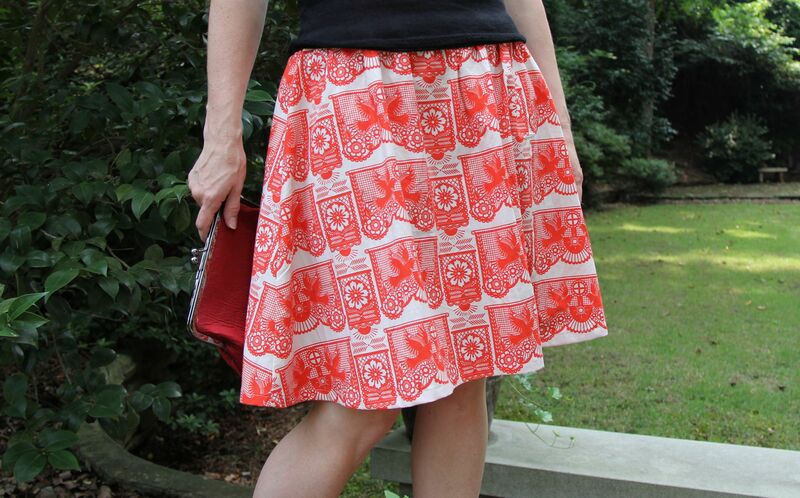 It’s one of the introductory videos included in the Get Up and Go Skirt, which will launch TOMORROW here on the blog. I hope you love what you see, can’t wait to hear what you think, and am excited to share this new sewing journey with you! Tomorrow, I’m excited to release the Get Up and Go Skirt pattern and share more details with you about the first pattern in this series! 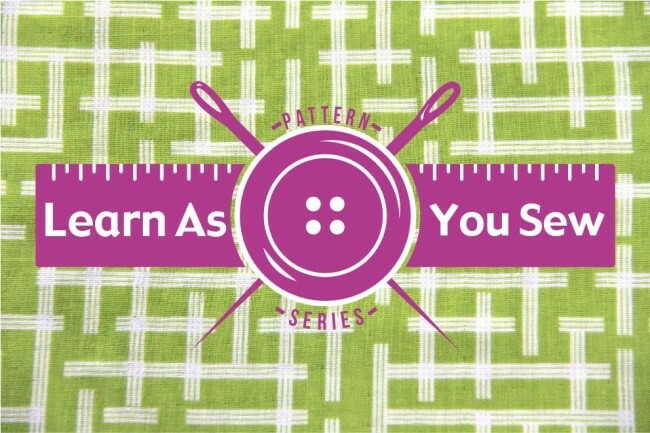 The green fabric featured behind the Learn As You Sew logo is from Ellen Luckett Baker’s Framework collection, and is available here! ← Join My Patternmaking Master Class on BurdaStyle! Yay Deborah!!! I can’t wait until tomorrow! I took your summer dresses e-course! It was awesome and i learned SOOOO much from all the videos. I can’t wait to make the skirt! It’s really sweeet! Perfect for all seasons. Congrats!!!!!!!!!!! Oh, hooray!! I hope you really, really love these patterns–I think they take the best of the e-courses and add in a different interface that’s a ton of fun and a little more flexible. Can’t wait to hear what you think! I took your summer dresses course too & learned a lot. I’m looking forward to tomorrow’s reveal & can’t wait to sign up. I know how to sew & did many years ago in college. What I’m struggling with, now that I’m back into it, is making things that just don’t look home-made. I’m rarely happy with my finished projects because I think they scream home-made. I’m hoping your pattern/course will help with that. Oh, thank you, sweet lady!! It’s exciting and exhausting and so much fun (you should know!). Means a lot to me to hear from you!! What!?! This is so awesome! I can’t wait to see them. I’m one of those people that can’t seem to get my act to gear in waking, child-free hours to take a real course, so I just learn little bits here and there and mostly stick to children’s clothing. I would LOVE to get better at sewing clothes for myself. See you tomorrow! This is such a fantastic idea! I just recently started garment sewing and some thing like this seems just the ticket! Brilliant! Hooray!! I can’t see how yours turns out! I know the videos will be really helpful–let me know if you have any questions as you work! This is a really awesome idea! Oh, thank you so much! I’m really excited about these patterns–can’t wait to share the next two in this series with you all! Such a great idea! i know some of my friends have mentioned wanting to learn to sew clothes but being overwhelmed even by the step by step pdf patterns with photos! LOVE that there are videos as well! Hooray, hooray!! That’s just what I was hoping–that there would be exactly the amount of hand-holding in these patterns that YOU need, as the user. So excited to share these with everyone! Oh, hooray!! I hope you’ll try the Get Up & Go pattern–I really think it does a great job of leading you through each step and helps make sewing with a pattern more logical and clear. Can’t wait to see what you’ll make! Wahoo! This looks so exciting, great development. Oh, thank you for saying that! I’m really excited, and think it’s a fun way to share pattern content–I hope everyone loves it as much as I do!